One of the high points of my 2017 was working with an accomplished range of artists on The Thing: Artbook. 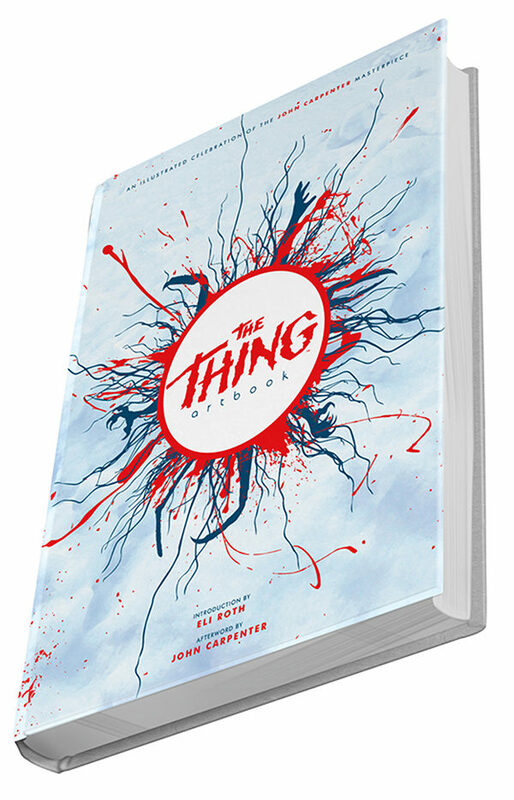 Designed to celebrate the 35th Anniversary of John Carpenter’s sci-fi horror classic, this 400 page first volume hardcover of Printed in Blood’s ARTBOOK series, featuring over 375 brand new pieces of artwork created specifically for this collection. Having always been a huge fan of Carpenter’s otherworldly work and the stark imagery that has punctuated his work for decades, it was truly an honour to be asked to contribute to this volume. Remembering the first time I watched this horror classic, I was both terrified by the amorphous quality of the alien life-form and its transition between victims, and amazed by the techniques the creature artists managed to make it manifest through terrestrial living flesh. I selected my favourite scene as the inspiration for my artwork. The famous blood transfusion scene is a high point of tension and terror where the crew of the ice-station are beginning to work out the alien’s mode of operation. 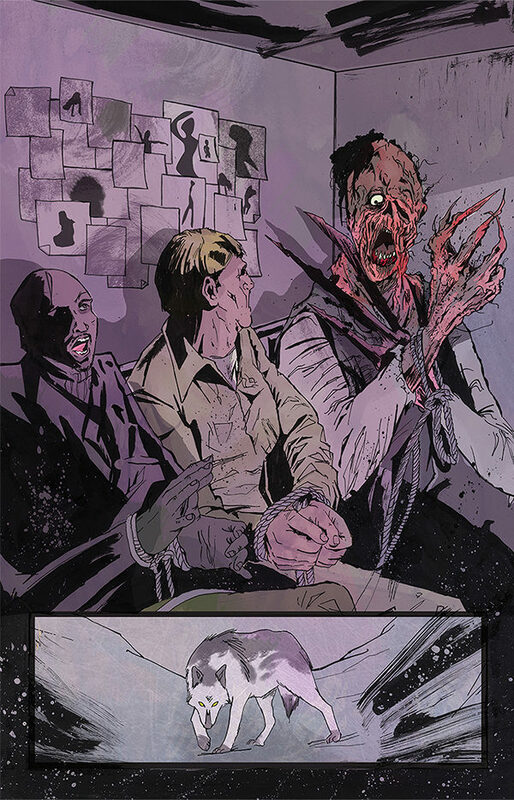 Creature art is a particular penchant of mine, and the metamorphosis demonstrated in this scene is one of the reasons why I chose to work in horror art. Catch me alongside many of the other contributing artists at the book signing event at the Forbidden Planet Megastore in London on the 2nd December.